Make sure you turn to the garden! This is the place where you can take your time and make a mess whenever you want to; it’s your space after all. There’s no errant animals off their leashes, the slugs are kept to a minimum, and any important plants are being stocked in the greenhouse. Spending time outside is always good for anyone’s development, and thus what better way to do so than learning about nature? Here’s a couple of good ways to acquaint your family with the world in a private and personal way, so have fun with some of the points below. And there’s plenty of ways to do this, so don’t be worried that your little ones will get bored at the prospect of having to recline for a few hours! Be creative with your time outside, such as camping out for the night or two. Spend the majority of your time outside in a space entirely your own; it can be a lot of fun. When you’re simulating a camping experience at home, you can do all the things you’d usually do on holiday with the house just a few meters away. Go on walks, have games of frisbee, and have mini scavenger hunts to really get the imagination going. Wait until the warmer nights of the late spring and early summer for an expedition like this; don’t worry, you’ll still get a good night’s sleep under the stars! Trees are always something of wonderment for young people. They’re huge, continually growing, and seem to be able to live forever. So buy some seeds or saplings from a place like Moon Valley Nurseries to make learning a little more engaging than simply reading a book together. You can take rubbings of the leaves and stick them up on your child’s wall, or even press some of them into a book and start a flower collecting hobby. Either way, you’ve got a lot to do in the garden for the upcoming spring, so get the kids to help! When it comes to adventuring, kid always love to scrabble around in the dirt. So, why not indulge their love of exploring with a bit of bug hunting? When you do it in your own backyard, it’s going to be a lot easier! Things like worms are always going to be a common find, and hey, if you need to turnover the soil in your vegetable patch, this is a great way to do so. Get your kids interested in all the creepy crawlies they come across, and teach them about the ecosystem they inhabit. 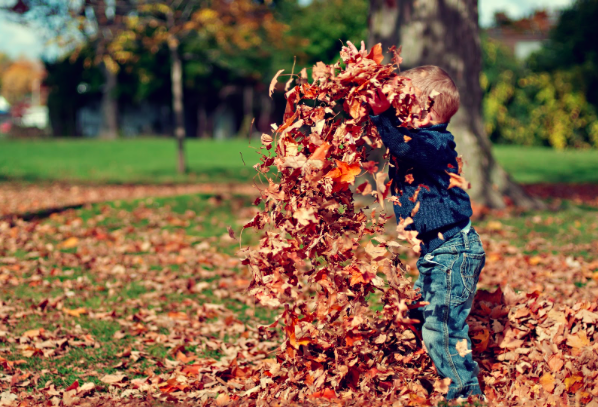 There’s a lot to do when you’re outside, so let nature work its magic and get your kids involved! Come sun or rain, there’s a lot of potential to the outside world. We used to live off of it!